Lately I've been really into the cat eyes. Everytime I meet a Make-up artist I always ask the same question: "How can you achieve the same eyes effect on both eyes?" The answer to all of the make-up artists have been practice makes perfect and when starting doing it slow doing it in parts. The other tip is to find the right eyeliner tool you are comfortable using. Currently I use Smashbox Always Sharp Waterproof Eyeliner for me to have more control in getting the right shape. This currently works for me but perhaps for you something else works better. Use what you are comfortable with and if you are new at this just take your time and practice. You don't just have to use black eyeliner nowadays you can use color to add a bold effect too. 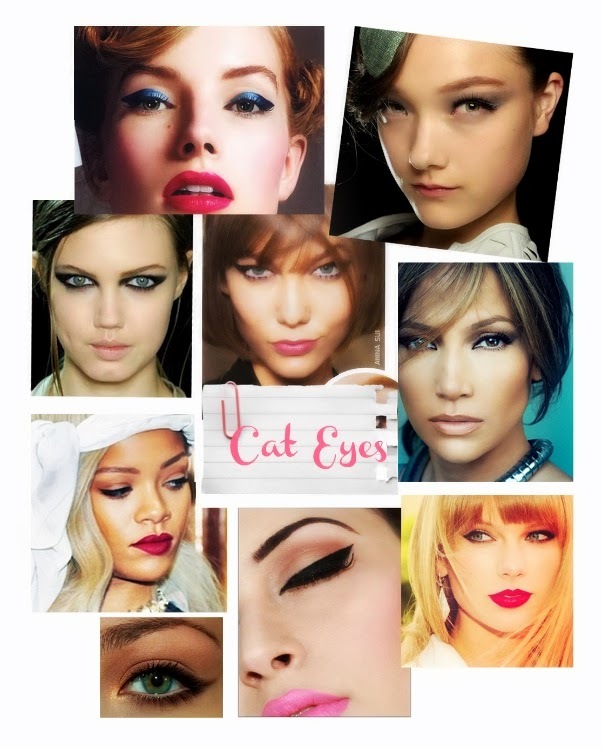 Check out below link that I found for a basic cat eye how to. Click on below to check it out. If you'd like more how to Follow my Pinterest Board "Make-Up & Skin".